ASTRONEER (game, 2016). A sandbox adventure video game by System Era Softworks. Developed by System Era Softworks. Official Trailer. ASTRONEER is a sandbox adventure video game by System Era Softworks, developed by System Era Softworks. 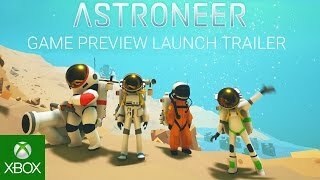 Astroneer - Game Preview Launch Trailer. Astroneer is a sandbox adventure game played from a third-person view. Its open world planets, wherein terraforming can take place, are subject to procedural generation. The player controls an astronaut (called an astroneer) who navigates on foot, by lunar rover or spacecraft. Crafting extends to vehicles, spacecraft, modules (smelted into core components) and oxygen reserve tanks. Ammonium is converted into hydrazine fuel for the astronaut's spacecraft. When low on oxygen, the astronaut recharges by tethering to poles in the ground; the tethers are extendable if attached in succession (possible after collecting the compound resource). A mining tool allows the player to unearth resources, reshape landscapes and illuminate dark spaces. Solar panels and generators power the mining tool. The astronaut can die from suffocation, impact with storm debris and hostile plants. Single-player and four-player co-op modes are supported. Astroneer is a sandbox adventure game played from a third-person view. Its open world planets, wherein terraforming can take place, are subject to procedural generation. The player controls an astronaut who navigates on foot, by lunar rover or spacecraft. Crafting extends to vehicles, spacecraft, modules (smelted into core components) and oxygen reserve tanks. Ice is converted into fuel for the astronaut's spacecraft. When low on oxygen, the astronaut recharges by tethering to poles in the ground; the tethers are extendable if attached in succession (possible after collecting the compound resource). A mining tool allows the player to unearth resources, reshape landscapes and illuminate dark spaces. Solar panels and generators power the mining tool. The astronaut can die from suffocation, impact with storm debris and hostile plants. Single-player and four-player co-op modes are supported. 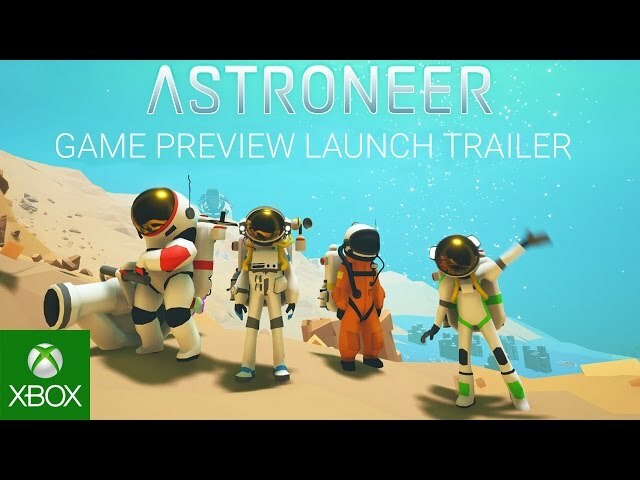 ASTRONEER was scheduled to be released by System Era Softworks on December 15, 2016, on December 16, 2016 and on February 6, 2019. It is a single-player and cooperative gameplay video game. This video game is available for the following platforms: Microsoft Windows and Xbox One.